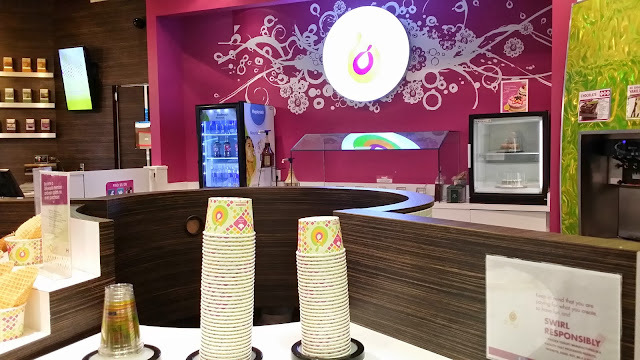 Qoola is a Frozen Yogurt Bar, similar to Pinkberry, that started in Vancouver. Woo, Vancity pride! You know I love supporting Vancouver based companies! Some of their locations offer a cafe-like setting, i.e. their Richmond Centre location. I actually like Qoola alot better than Pinkberry, because you get the option to scoop the toppings yourself and determine how much you want, whereas with Pinkberry the person scoops it for you. 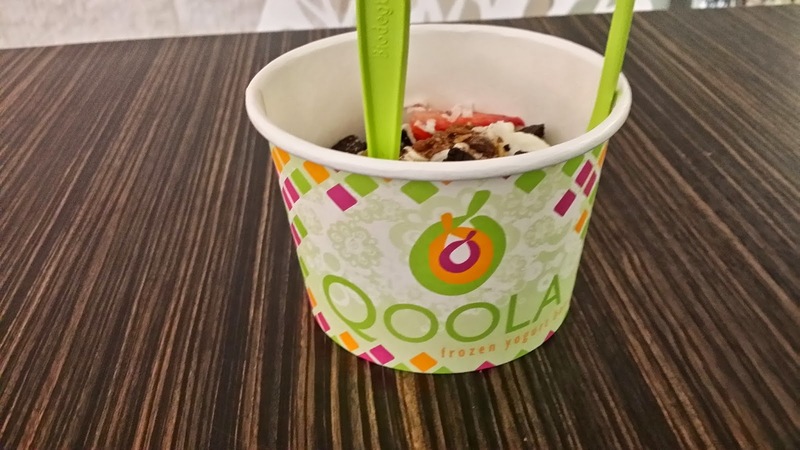 Qoola is cheaper too! Even though it is priced by weight, I managed to fill my cup halfway with a ton of toppings for a little over $3! 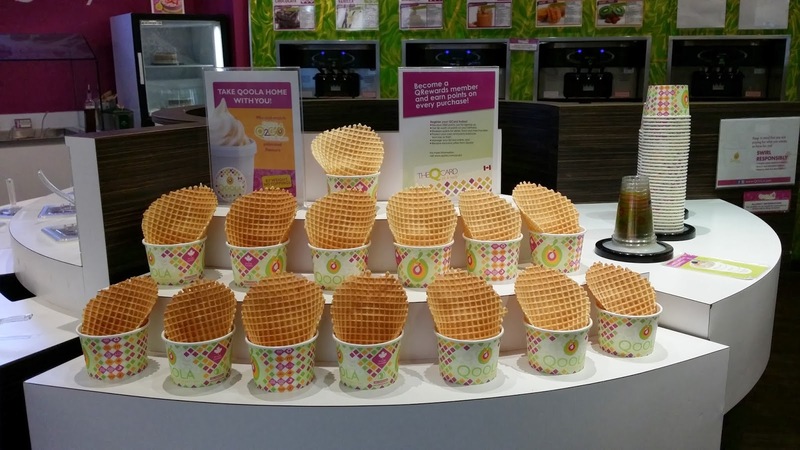 At Pinkberry, a small, (half of what I get at Qoola) is over $6.00! However, Qoola doesn't give out stamp cards, and pinkberry does haha! Taste wise, I prefer Qoola! The yogurt is alot tangier and more tart than Pinkberry's. Plus you get more topping choices! 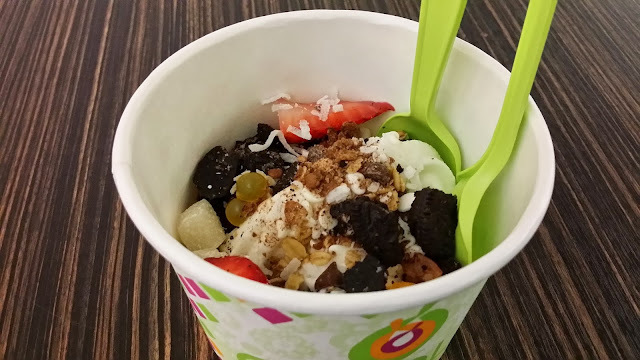 I opted for a original yogurt with obligatory oreo pieces, mango pearls, mochi, chocolate chips, strawberry, cereal, and coconut flakes! The yogurt was incredibly silky, milky and melted in my mouth. The flavours just complimented each other perfectly! 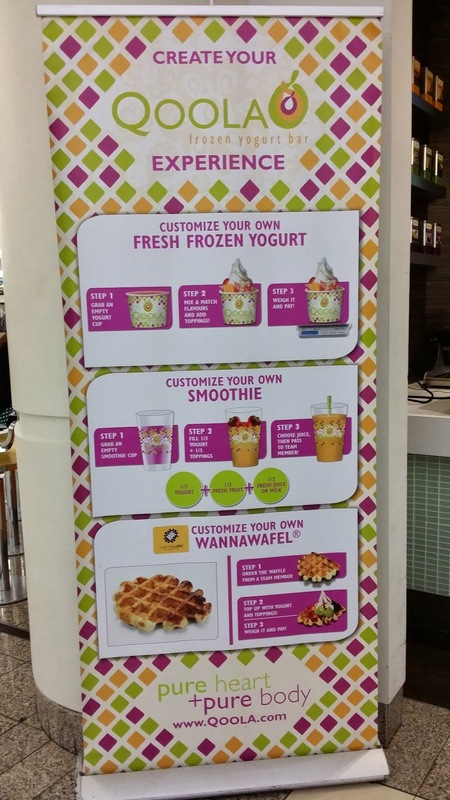 The tanginess of the yogurt balanced out the sweetness of the toppings. The oreo cookies and cereal added the perfect crunch/median to the silky yogurt! The mango pearls and the mochi were to.die.for.delicious. Side note: I think they soak the strawberry in syrup or something, because it tasted overwhelmingly like syrup! -Conveniently located in Metrotown and near the Skytrain. 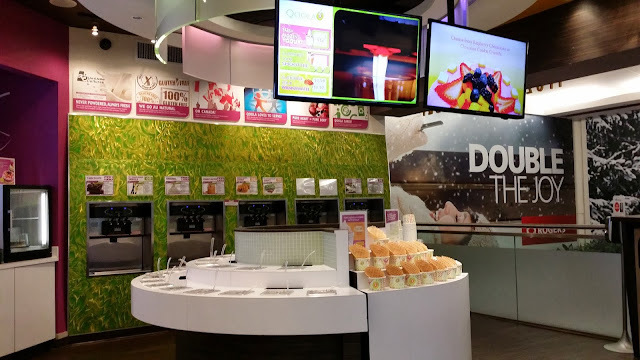 -Can get pricey if you get too much yogurt or toppings. The verdict: Definitely my favourite yogurt place of all time. Amazingly yummy. Check. Cheap.Check. Local. Check. WHAT'S NOT TO LOVE?! !